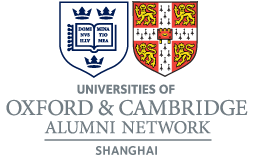 Any person who has graduated from Cambridge or Oxford Universities, and who lives in the People’s Republic of China, shall be eligible for application for admission as a Member except where such person’s membership would contravene the laws or policies of the government of the PRC. Members may be asked to produce their degree certificate in support of their application. Applications for membership should be made to the Secretary. It is the responsibility of Members to advise the Secretary of any changes in their contact details, especially their e-mail address which will be used for regular communication. Membership is free to all qualified members.